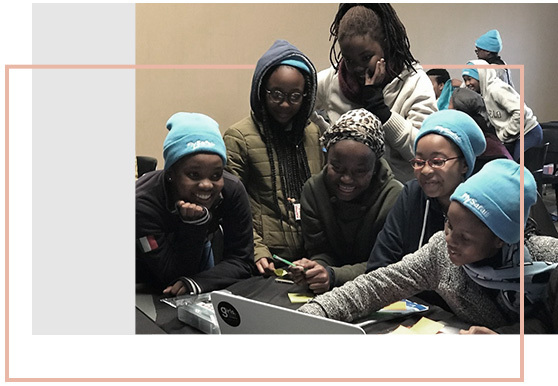 The “Fly for STEM” Africa campaign is aimed at exposing and encouraging girls to consider careers in the STEM field with a focus on aviation and aerospace. During the campaign, the team flies around the continent in a small aircraft, with the aim of reaching 500 000 girls in Africa. Girls need to see real female role models who participate in STEM subjects. Loss of female interest in the STEM can be partially halted by simply exposing girls to other women who are in the STEM field. It is necessary to make STEM subjects look desirable to girls earlier in life if we hope to retain women in STEM fields later and it is also important to have interventions that help increase girls and women’s interest in, and engagement with STEM education. GFPA foundation hosts an annual aviation and aerospace camp each year. The camp is highly technical and technological. According to World economic forum (WEF) “technology and digitalization represent an exciting opportunity for the aviation, travel and tourism ecosystem, with the potential to unlock approximately $1 trillion of value for the industry and wider society over the next decade”. During the aviation and aerospace camp, using design thinking and technology, the learners will be able to invent, build and present their solutions to current challenges in the aviation and aerospace industry. Our aviation and aerospace camp featured on BBC innovators in Africa. To create an environment where learners from diverse backgrounds, with a common interest in aviation and space, can meet and engage. 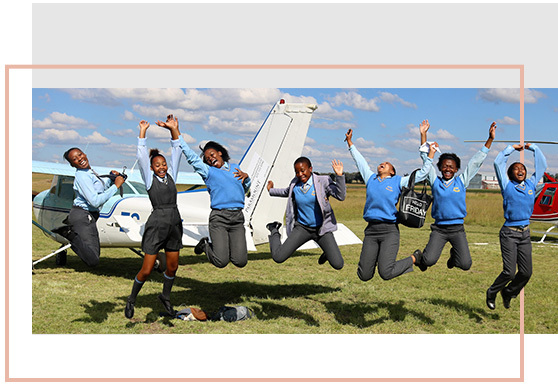 To provide a fun, yet educational programme, giving the learners an opportunity to discover more about aviation and space opportunities. To encourage learners to pursue science, technology, engineering and mathematics-related careers (STEM). Our fellowship programme is aimed at University or post-school aviation and aerospace emerging leaders in Africa. Our first programme will be in 2019. Job shadowing and Internships programme coming in 2019.